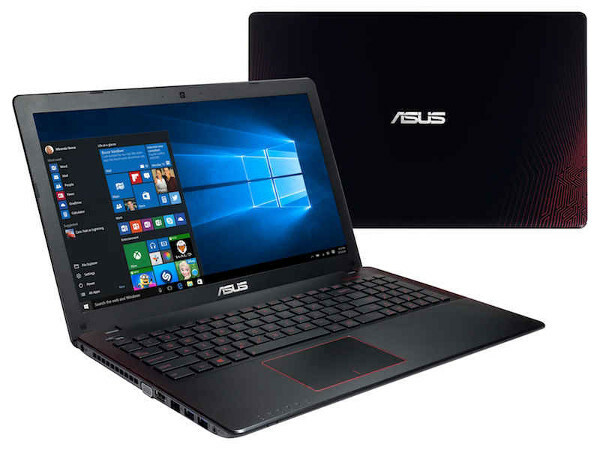 Download the latest versions of the ASUS drivers for Windows 10. The list includes Smart Gesture, ATK Package, Audio, Bluetooth, WLAN, LAN, Graphics, Card Reader, USB Charger +, BIOS and more. After upgrading to Windows 10, I came across some issues like the touchpad. Therefore, I decided to update all ASUS drivers and tools to the latest versions. In order to save you some time, I then include the complete list with all official ASUS drivers for Windows 10, since I had to search each of the latest versions all over the ASUS support site. The drivers included in the list are for Notebooks or Laptops. Most drivers are ZIP files. To install them, you must extract the contents to a folder and then run the Setup.exe file . If you see the message "Another version of this product is already installed ...", you must first uninstall the previous version and then install the new one. ATK Package includes the ATKACPI driver and utilities related to the hotkeys. To avoid abnormalities with the OSD after upgrading to Windows 10, please upgrade the ATK Package to version 1.0.0038 or higher. ASUS Smart Gesture offers a smoother and more intuitive touchpad experience. To avoid losing your ASUS gesture settings after upgrading to Windows 10, please upgrade ASUS Smart Gesture to version 4.0.5 or higher. ASUS USB Charger Plus is a tool to quickly load your Apple mobile device. For the Quick Charge function to work after upgrading to Windows 10, please upgrade ASUS USB Charger Plus to version 4.1.6 or higher. Check the manufacturer for the Audio of your ASUS Notebook and download the corresponding driver. Check the manufacturer for the Bluetooth of your ASUS Notebook and download the corresponding driver. Check the manufacturer for the Wireless LAN of your ASUS Notebook and download the corresponding driver ( help ). For Qualcomm Atheros and Broadcom it is also necessary to check the Driver Version as there are different bifurcations related to the chipset ( help ). Download the driver that starts with the same version number as yours. Check the manufacturer for the LAN / Ethernet of your ASUS Notebook and download the corresponding driver. For other manufacturers, the latest LAN drivers for Windows 8.1 work well under Windows 10. Check the manufacturer for the VGA / Graphics of your ASUS Notebook and download the corresponding driver. For Intel drivers I only use Windows Update. ASUS provides these drivers which correspond to a specific Intel chip: Kaby Lake | Skylake ( list ) | Broadwell ( list ) | Braswell ( list ) | Bay Trail ( list ) | Cherry Trail ( list ). Alternatively, you can use the Intel Driver Update Utility tool . This application keeps your system up-to-date, identifying the new drivers available for Intel components. Note: Windows Update may overwrite the driver installed by this tool. For NVIDIA drivers I recommend installing GeForce Experience . This application keeps the NVIDIA drivers up to date. Check the manufacturer for the Card Reader of your ASUS Notebook and download the corresponding driver. DO NOT USE , remove Live Update. If you can not find a driver, try searching the ASUS media . Some of the Intel drivers provided by ASUS correspond to a specific Intel chip. So if the driver file name contains words like Skylake , Broadwell , Braswell or Bay Trail you need to know which chipset you have before installing it. I included the lists of chipsets in the Graphics section . A user of the UX32VD (Ivy Bridge chipset) reported low CPU frequency and overheating because of the Intel DPTF driver for Skylake. The solution was to install an older version for Windows 8 of the DPTF driver for your chipset. ASUS does not provide drivers for the camera on most models because the built-in camera works properly with Microsoft drivers. If you still need to install a driver for the camera, the drivers for Windows 7 can be found here: Camera . First, you will need to find the PID number of your camera and then download the corresponding driver. To get the PID number, I opened the Device Manager > "USB 2.0 ... WebCam"> Details > Hardware ID > and look for the PID number in Value as PID _ ####. There is another application called ASUS Remote Link which also installs Smart Gesture and Windows lists as ASUS Smart Gesture version 4.3.9. However, the version number does not correspond to Smart Gesture since the application has fewer options than the last one. In addition, the Mobile Control tab displays a Previous Server Version (1.0.1.12 vs. 1.0.3.12). So, if you want to use Remote Link I recommend installing the latest version of Smart Gesture, go to the Mobile Control tab and tick "Enable Remote Link on my PC". Be very careful when updating the BIOS, it could end up with a computer that does not boot. Just update it if necessary. First, check the BIOS version of your ASUS Notebook. Then look for the model of your laptop in the ASUS support site and download the BIOS file, if there is a newer version. Finally, install and run ASUS WinFlash to update the BIOS version. Help: Where to find the model name? | How do I update the BIOS version?